The art residencies in this week's post each support artists whose work addresses social justice. In some cases, the entire organization is devoted to social justice. In others, residencies that accept all kinds of artists make an intentional space for artists working at the intersection of art and social justice. We also highlight two fellowships. Stipend: $1000 stipend for each artist. Food: Meals are provided six days a week at the Crosstown Arts cafe which is open to the public. Breakfast and lunch are taken at the resident's choosing; dinners are communal. All meals are plant-based and feature seasonal and organic ingredients. 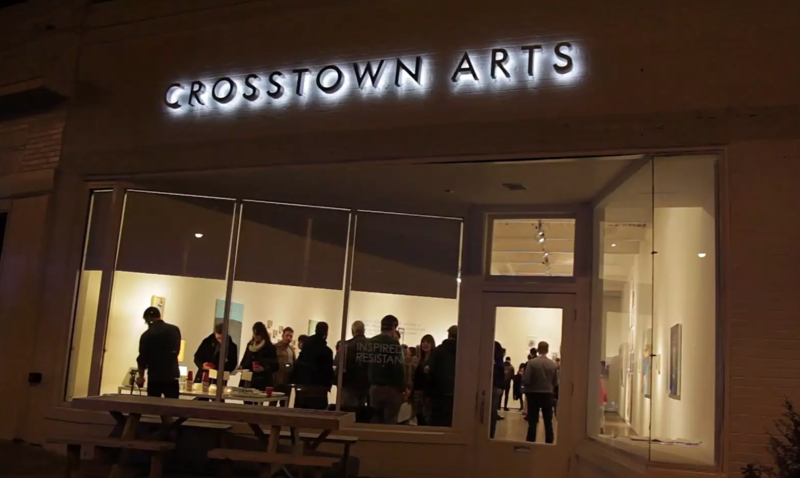 The multidisciplinary artist residency program at Crosstown Arts in Memphis, Tennessee, offers residencies for visiting and Memphis-based visual and performing artists working in any creative discipline as well as musicians, filmmakers, and writers in all genres. Withers Residents, in particular, are individual artists of color working in any discipline who ambitiously addresses the intersection of race and social inequality in their work. Deadline: The 2018 deadline has passed. SFAI typically announces the annual theme and open call for applications in early October with the deadline to submit in early February. These dates are subject to change. Food: We provide basic foodstuffs (such as, olive oil, bread, cereal, peanut butter jelly/jam, coffee and tea), however residents are responsible for all other groceries and preparing their own meals. 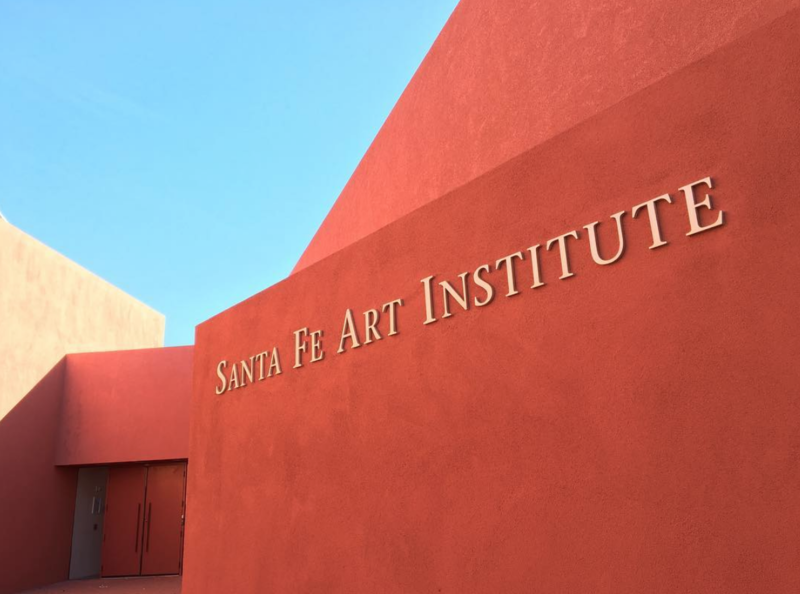 The Santa Fe Art Institute (SFAI) is a hub for creative engagement and social change. At SFAI, we are artists, innovative thinkers, and engaged citizens. We cultivate creative leadership and invest in community, culture, and place to re-imagine a more equitable world. We fulfill our mission through our artist residency and fellowship programs, workshops and trainings, community projects, and events. Much of our programming relates to an annual theme, which is focuses on relevant social issues such as Equal Justice, Water Rights, and Immigration / Emigration. The 2018-2019 theme is Truth and Reconciliation. SFAI sponsors more than 80 residencies and fellowships per year for creative practitioners from all over the world, and offers visionary, social justice theme-focused programming that addresses pertinent questions facing diverse regional and global communities. The Laundromat Project offers residencies for artists interested in developing and mounting a socially-engaged, socially-relevant, and participatory public art project in their local laundromat and/or other community public spaces. This opportunity is intended to move artists from a conventional public art model of simply placing static art objects in public spaces to one that emphasizes the ways art and artists can serve as catalysts for social action, problem-solving, and relationship building in their own communities. The Laundromat Project supports up to five Create Change residencies for 6 months a year. The residency is for artists and makers of all disciplines, including cultural producers, community organizers of color living in or deeply invested in Bedford-Stuyvesant, Harlem, and Hunts Point / Longwood, our three anchor neighborhoods. This residency is designed to deepen the community engagement practice by participating in our intensive workshop series while developing and mounting a socially-engaged and participatory public art project in their local laundromat and/or other community public spaces. This is an ideal opportunity for artists in the early to mid stages of their careers that have experience doing socially-engaged art. 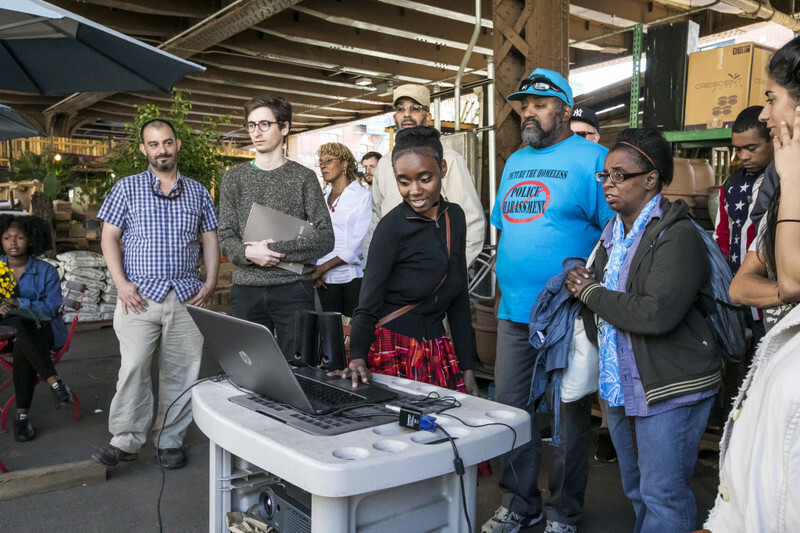 Also Available: The Create Change Fellowship Program is for up to 15 artists and makers of all disciplines including, cultural producers, and community organizers residing in New York City or near, who may not necessarily have experience doing socially-engaged creative projects. The Fellowship offers an intensive learning environment on how to do community-based work better and to deepen their creative practice. The fellowship takes place at our learning spaces in our three anchor neighborhoods: Bedford-Stuyvesant, Harlem, and Hunts Point / Longwood. 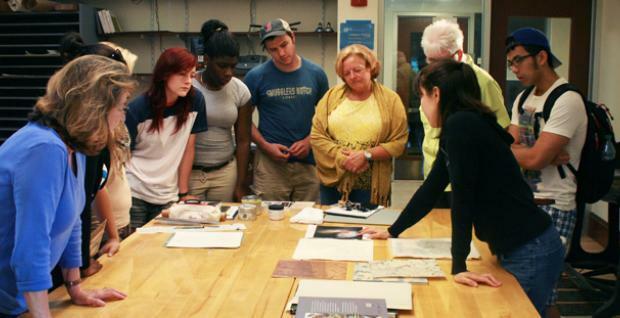 The Emmanuel College Art Department offers an eight-week artists residency to four artists each summer. The residency supports a diverse group of artists, providing time and space for established and emerging artists to develop their work. However, the Art Department specifically aims to award a residency to one individual from each of the four categories: ceramics, photography, printmaking and social justice. 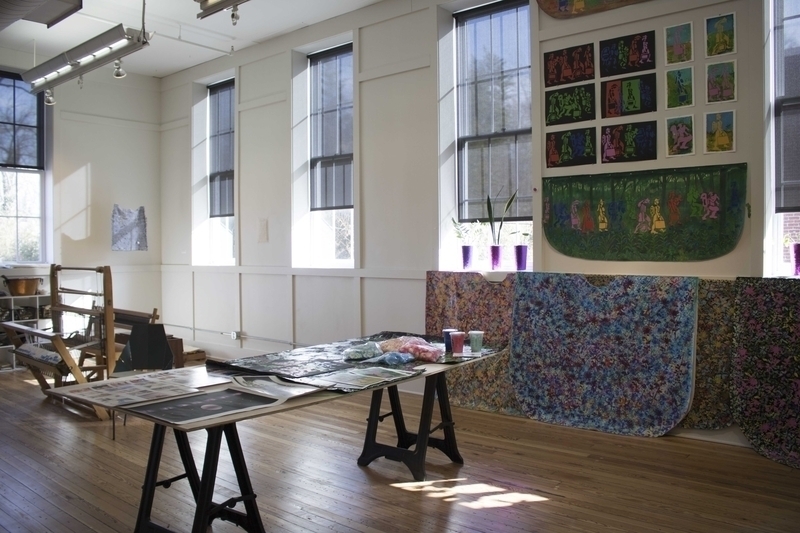 Fostering creative and artistic excellence, the residency also plays an important role in advancing the visual arts on the Emmanuel campus, providing an important educational program on contemporary art accessible to students, staff, and faculty. Lodging is provided in the college dorms, with access to a small kitchen. Residents have access to communal college studio facilities with ample space sharing - ceramics, wood shop, print shop, darkroom, design lab and drawing studio. Emmanuel will host a closing exhibition for all resident artists to participate in and show the larger community the end result of your work. Deadline: Our next application period will open November 1, 2018 for the 2019 season. Stipend: In 2017 generous BMC alumni and the Adirondack Foundation established a Resident Support Fund to provide financial assistance to 2018 applicants who require additional resources to participate in BMC's Residency program and meet criteria specified by donors. Upon acceptance to a Residency, qualified applicants will be invited to request funding if needed. One applicant will be awarded the Boren Chertkov Residency for Labor and Justice. 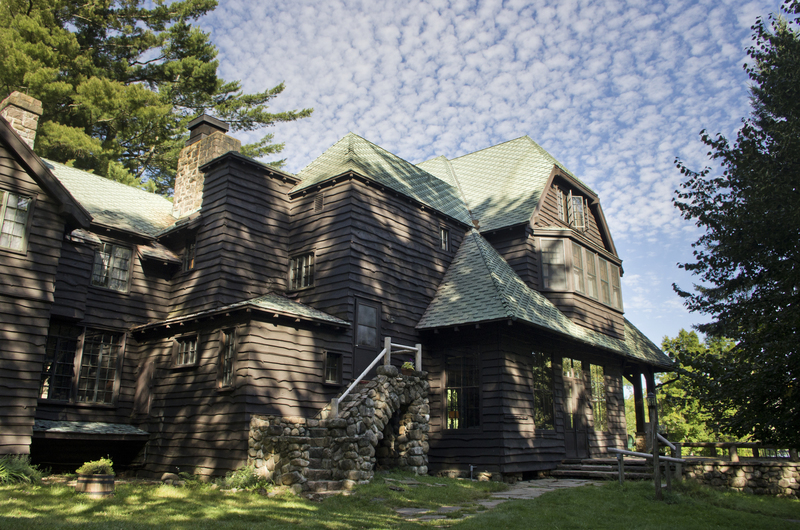 Blue Mountain Center, founded in 1982, provides support for writers, artists, and activists. A 501(c)(3) nonprofit organization, the center also serves as a resource for culturally-based progressive movement building. We expand and deepen conversations among cultural workers and support projects that emerge from these dialogues. During the summer and early fall, BMC offers three month-long residency sessions. These sessions are open to creative and non-fiction writers, activists, and artists of all disciplines—including composers, filmmakers, and visual artists. Applications are reviewed by accomplished authors and artists. They are particularly interested in fine work that evinces social and ecological concern and is aimed at a general audience. Blue Mountain Center also hosts several weekend conversations during the spring and fall months each year. They bring together individuals to talk about pressing social problems such as civil liberties, environmental health and safety, peace, and economic justice. Guest rooms are simple and comfortable. Residents are lodged in individual bedroom/studies in the Main House or the Grey Cottage. HALCYON ARTS LAB — Washington, D.C.
At the intersection of art and social change, this nine-month residential fellowship is designed to provide support and resources to emerging artists working on projects which address issues of social justice, civic engagement, and community building. Arts Lab fellows strive to hone their practices and grow as leaders in their respective fields. Adapting the well-honed methodology of the Halcyon model, Halcyon Arts Lab fosters creativity through a supportive environment of space, access, and community. The program accepts six national and international fellows as well as two Washington, DC-based artists in each cohort. Stipend: Artists receive $20,000 in minimally restricted support. We look at the process and relationships of socially engaged art projects. We see the aesthetic qualities of socially engaged art in how alliances are formed and maintained, the way disparate stakeholder groups are coordinated, how power dynamics are navigated, and how bridges are built between many different types of people within a socially engaged art project. We create content that illuminates and deepens understanding of these relationships. A primary goal of ABOG is to make the “invisible” parts of socially engaged art visible. We do this through documentary films and field research that are artist-led, and are grounded in the perspective of project participants, as well as publications, web content, and public programming. *Please note: italicized text is taken directly from the informational websites of the residencies.